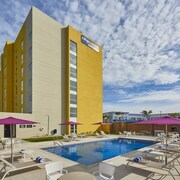 Located in the heart of Rosarito, this hotel is 0.1 mi (0.1 km) from Rosarito Beach and 6.9 mi (11.1 km) from Baja Studios. Agua Caliente Racetrack and Tijuana Brewery are also within 16 mi (25 km). Located in the heart of Rosarito, this spa hotel is 0.5 mi (0.8 km) from Rosarito Beach and 4.2 mi (6.7 km) from Baja Studios. Centro Cultural Tijuana and Agua Caliente Racetrack are also within 16 mi (25 km). Situated in the entertainment district, this hotel is 1.1 mi (1.8 km) from Rosarito Beach and 1.4 mi (2.2 km) from Rosarito Theatre. Agua Caliente Racetrack and Baja Studios are also within 12 mi (20 km). 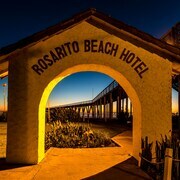 Nestled on the beach, this Rosarito hotel is 0.7 mi (1.1 km) from Rosarito Beach and 2.4 mi (3.8 km) from Baja Studios. All the Pretty Horses of Baja Rides and Rescue and Caliente Racetrack Casino are also within 16 mi (25 km). 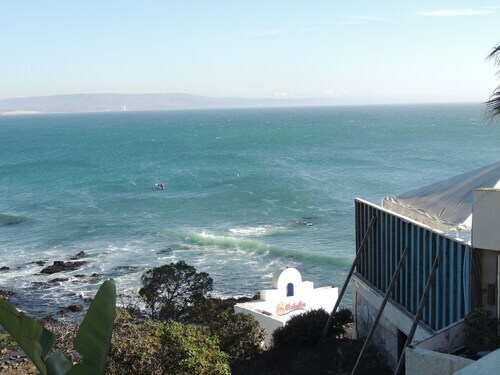 Situated on the waterfront, this hotel is 0.2 mi (0.2 km) from Rosarito Beach and 6.4 mi (10.3 km) from Baja Studios. Agua Caliente Racetrack and Plaza Monumental de Playas are also within 20 mi (32 km). 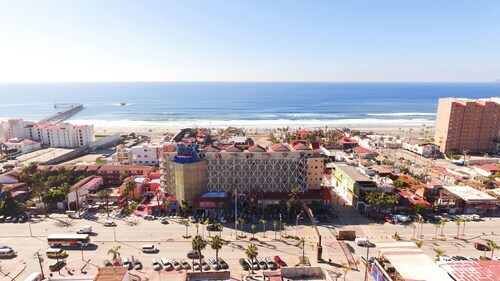 Located in Rosarito, this beachfront hotel is in the city center, 0.2 mi (0.3 km) from Rosarito Beach, and 6.2 mi (9.9 km) from Baja Studios. Club Campestre Golf Course and Agua Caliente Racetrack are also within 20 mi (32 km). How Much is a Hotel Room in Rosarito? 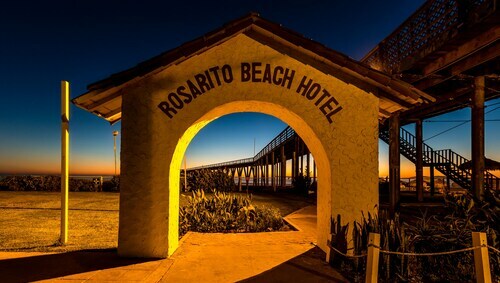 Hotels in Rosarito start at $20 per night. Prices and availability subject to change. Additional terms may apply. 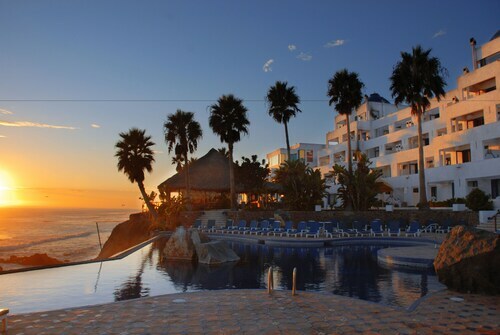 With 12 hotels and apartments within Rosarito, you are able to find the perfect option. 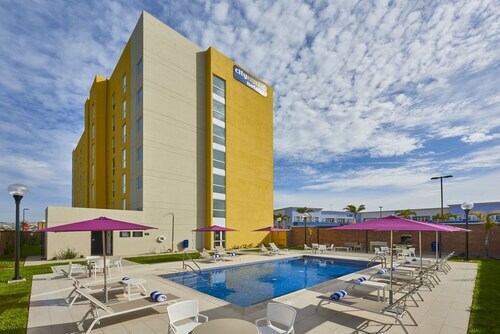 If you wish to make memories in Rosarito, Travelocity has 12 hotels within a short drive of the downtown area. 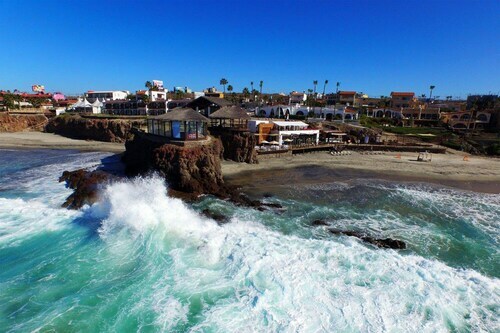 Places to stay you can find within an easy walk of the downtown area of Rosarito, are the Quinta Pacifica Beachfront Villas and Rosarito Beach Hotel. The Hotel Pueblito Inn, Brisas del Mar Rosarito and Festival Plaza Hotel and Entertainment Resort could be good hotel choices for those who are after economical hotels. You should investigate the Las Olas Resort and Spa as well as the Casa Farolito. The Las Olas Resort and Spa can be found 5 miles (8 kilometers) away from the town center of Rosarito. The Casa Farolito, is 7 miles (11 kilometers) away. Other possible hotels and apartment options include the Marriott Hotel Tijuana and the Hotel Lucerna Tijuana. 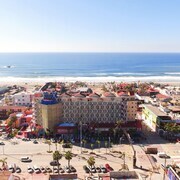 The closest hotels in Tijuana are Avenida Revolucion and Rosarito Beach. Avenida Revolucion is 14 miles (22 kilometers) to the north of Rosarito, while Rosarito Beach is 1 mile (2 kilometers) to the north. 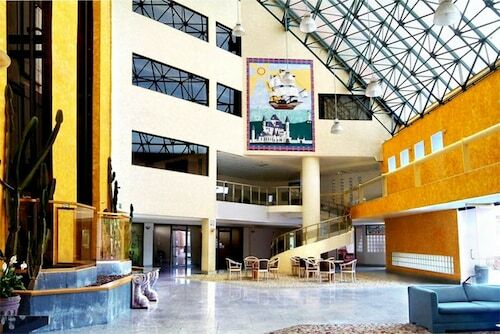 Avenida Revolucion Travelocity-registered lodgings are the Grand Hotel Tijuana and Real Inn Tijuana. 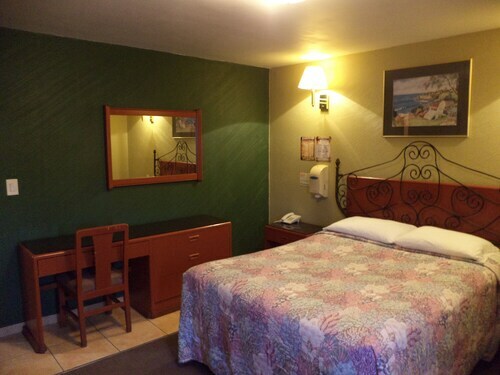 The Hotel Baja del Sol Inn and Paraiso Motel & Villas are amongst the accommodation options in Rosarito Beach. While you are here why not spend some time cheering wildly with fellow lovers of sport at a community game. You can find Agua Caliente Racetrack 12 miles (20 kilometers) to the north of Rosarito. For those who are keen on locating a hotel not far away, book a room in the Rodeway Inn or Pueblo Amigo Hotel & Casino. General Abelardo L. Rodriguez International Airport is situated 15 miles (24 kilometers) outside Rosarito's downtown. Should you would like to stay close by can look into a night via Travelocity at the Quality Suites San Diego Otay Mesa or the Holiday Inn Express Hotel & Suites San Diego Otay Mesa. It was excellent everything was awesome! We would stay again in this hotel. A beautiful building in a million dollar location. The building needs maintenance. But it has an old rustic charm. Reserved a room 3 days prior and the day prior to the reservation I called the front desk to confirm the reservation and they said everything was good to go but once we got to the hotel they had no more available rooms... and they blamed Travelocity for overbooking. Was a good stay being so close to the beach and room was comfortable. The staff was very pleasant. Would go again.